Enjoy dinner on the East Coast. The Portside Restaurant is located at the entrance to Oamaru’s historic harbour. Its stunning view from the restaurant makes it a memorable dining experience. 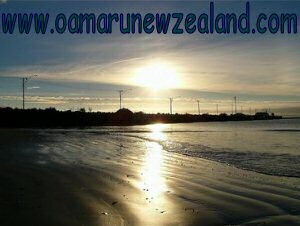 The Portside Oamaru can seat up to 100 patrons and all tables have a panoramic view of the town and harbour. There are also two outdoor seating areas ideal for eating out during warmer weather. The upper deck has a barbecue area while the lower deck is closer to the water’s edge. In the nighttime, you can view the stunning town lights from the restaurant while dining on the finest foods and sipping award wining wines. Besides its comprehensive a la carte menu, the restaurant also serves light lunches, morning and afternoon teas as well. There is also an antipasto bar where the adults can enjoy a cocktail or two while the kids frolic in the sandpit nearby. 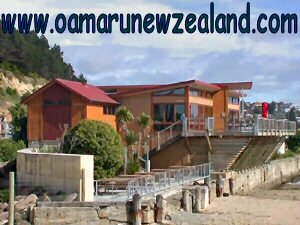 Portside Restaurant: Oamaru Harbour, 2 Waterfront Road, Oamaru T: +64 3 434 3400 : Closed on Wednesday, opening hours 11 – late. Book ahead to avoid disappointment.